Shanti Vilas Homestay is one pocket-friendly homestay that offers you comfort and home like warmth. The hotel is designed against white walls and beautiful and colourful paintings complemented with modern wooden furniture. 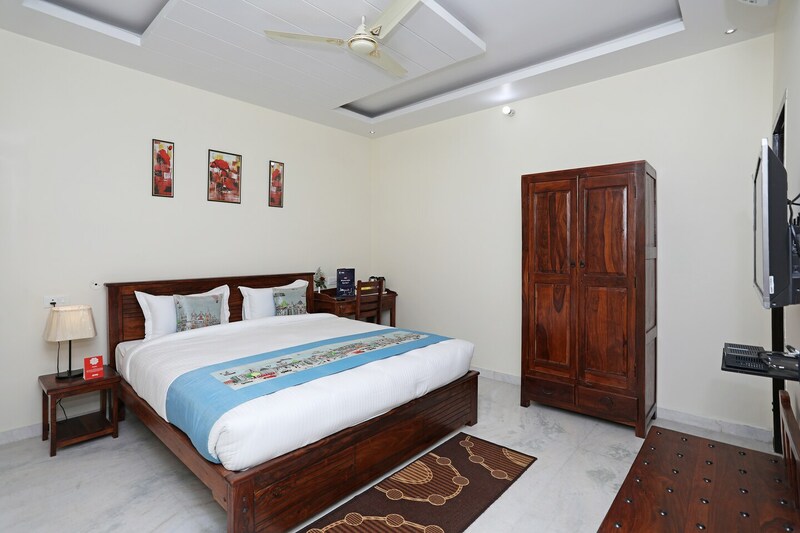 The rooms are spacious, super-clean and well-equipped with basic amenities. There is a nice seating area where you can enjoy meals with your friends and family members. Without leaving your room, you can stay connected with the world via free internet services. The hotel also has parking facility and laundry services. CCTV cameras are installed in the premises to ensure security of your stay. Guests can also enjoy tasty treats in the various restaurants located nearby.